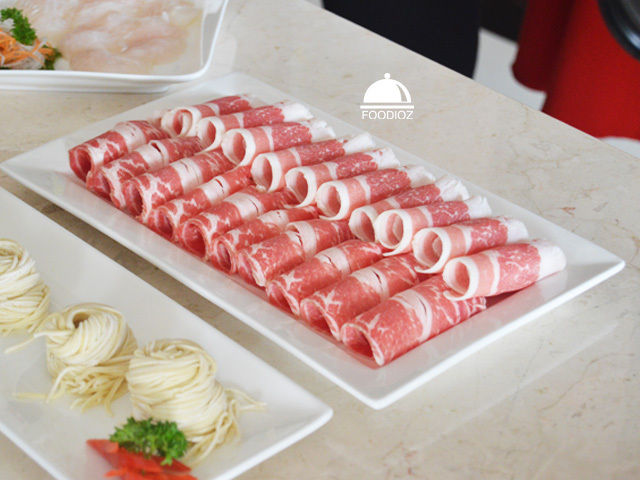 Normally Japanese shabu shabu is common to be found in town. 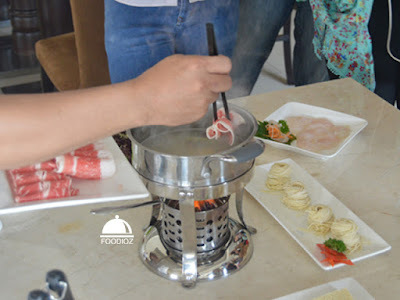 But this time i having chance to try Shanghai shabu shabu held by Pergi Kuliner at Dolar Shop Resto around Gajah Mada Area. Basicly is it a Chinese restaurant from the concept, theme and interior. It is located inside the QNB Bank building on top floor. 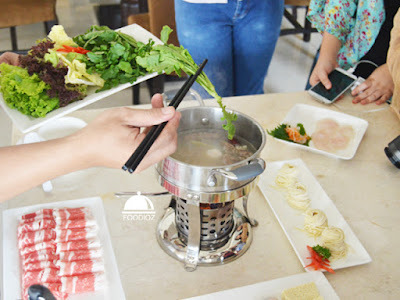 It has really huge space of restaurant though, we are not going to have various chinese cuisines here, but we are going to have a Shanghai style shabu shabu which is not common in town. Before starting our lunch, they are showing short demo how to serve the shabu shabu. various ingredients are ready to be boiled inside the pot. They have a various kinds of meatballs i.e. 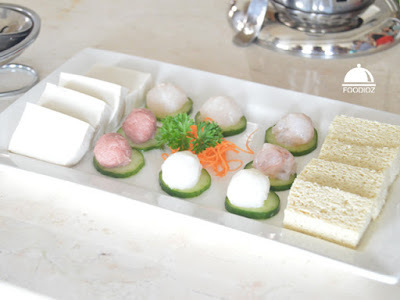 beefball, fishball, shrimpball then bean curd, Korean tofu, premium beef slices, homemade noodles, also bunch of vegetables. Other special is they have 20 kind of sauces, i even couldn't remember it all. 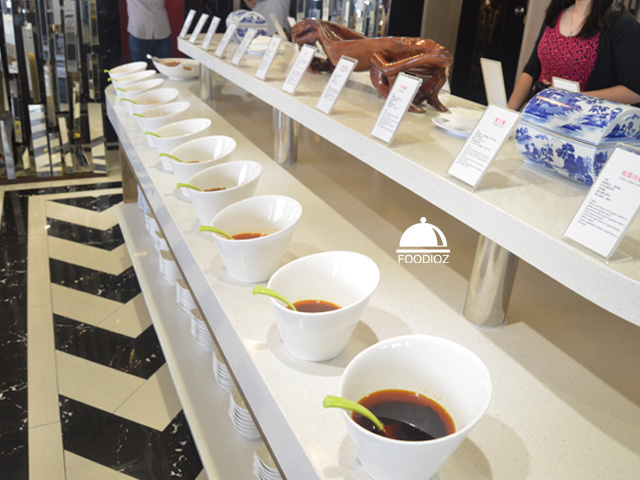 As expected we may having various taste from sweet, sour, salty, or spicy sauce which our preference. Normally in shabu shabu restaurant we are sharing one pot together for abous 3 or 4 persons. But in here, the rule is one pot is for each person which is i may have my own pot to cook whatever i'd like to. 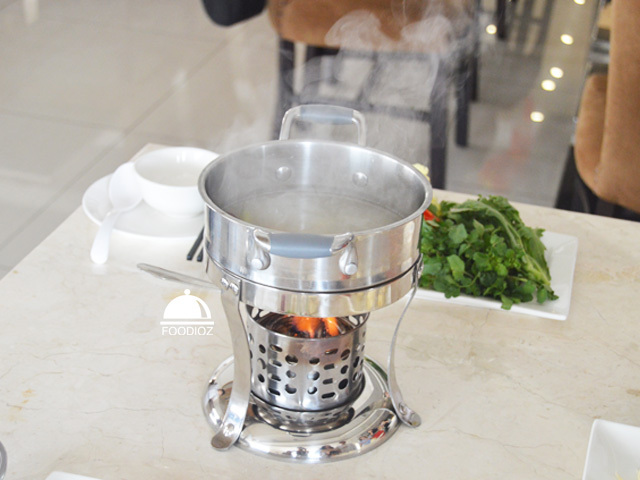 They also have various of soup taste like original chicken broth, tomato, curry, special fish soup, and herb mushroom. As Chinese theme, soup doesn't really tasty as usual soup we found in town since originally in Shanghai people don't really like using much of seasoning on their soup which is they prefer it warm and plain. 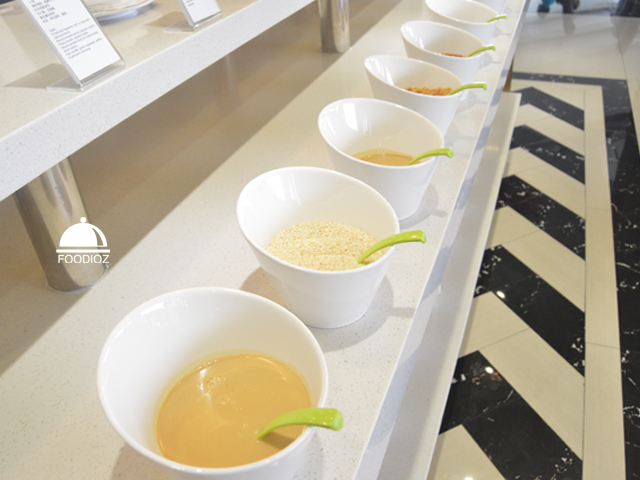 That is the reason why we could have many kind of sauces to get more taste. So don't surprise if you find the soup is not tasty enough than common shabu shabu restaurant. The best dish i must recommend is the beef slices, they really do it well done. Thin slices of beef with tender texture, fresh absolutely my favorite. 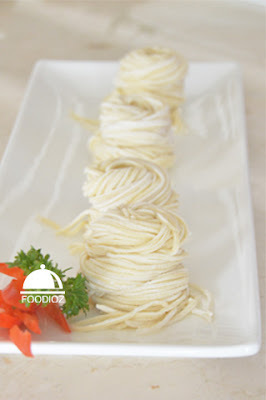 Also the noodles is really good, chewy and soft texture also it has nice taste. Each meatballs of course have different taste, as you can imagine how beef, fish and shrimp absolutely have difference. Overall, foods are good, sauces are fascinating and what they served absolutely great. 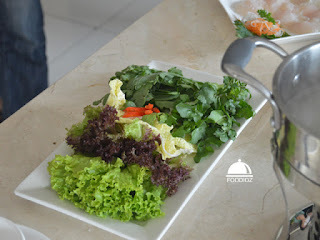 Even though it is not all you can eat restaurant, but if you're looking for taste and quality of ingredient, Dolar Shop Resto is absolutely recommended. They are make sure all are using fresh and premium ingredients with consistency of procedure and serving.